I’ve been a Ranger for two seasons now and can’t count the number of times I’ve given my “bear aware” talk to visitors on the trails. 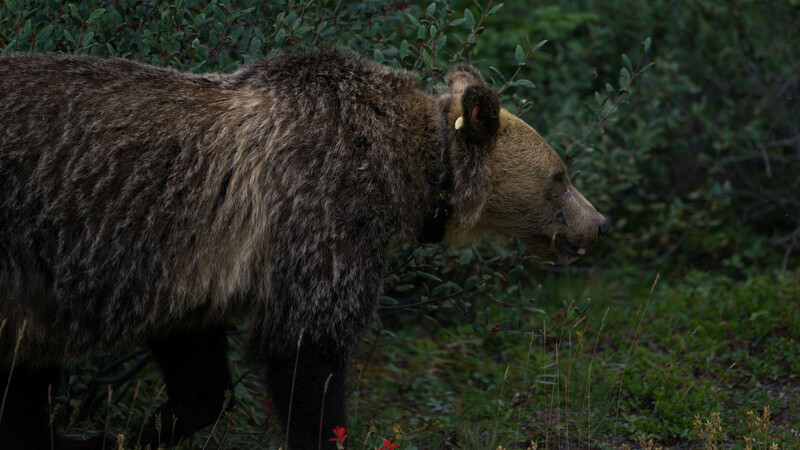 Wildlife education is one of the greatest tools we can use to keep people safe from bears and bears safe from people. For those of us who love being outdoors, camping is one of the many activities we enjoy doing in the wilderness. Whether it be a backcountry or front country campground experience – it’s an escape from our regular lives and usually a time to unwind and relax. But with many of us venturing off into the woods, we bring ourselves closer to wildlife and bear habitat. Bears are beautiful creatures; they are master fisherman, excellent tree climbers and all around forest gurus. They live simply, passing time lounging in grass and enjoying some fresh berries. As humans, we are either completely fascinated with bears or completely terrified of them. Both of these reactions can create a difficult situation when encountering one of these animals. before venturing out into the woods. Developing a respect and understanding of these animals is much more important than having a fear for them (which is an instant reaction for most people when faced with something that could potentially hurt or kill them). Understand that if you happen to encounter a bear, you must use the correct reaction for the situation at hand. A bear is a wild animal – it doesn’t want to see you. Though these animals are strong creatures they can easily be brought down by human fault. We’ve all seen the slogan “a fed bear is a dead bear” – sad but appropriate language for what happens when a bear becomes habituated by human food and garbage. Whether you’re a seasoned backcountry user or a first time weekend warrior, it is important to constantly be aware of the impact your visit is on an area. 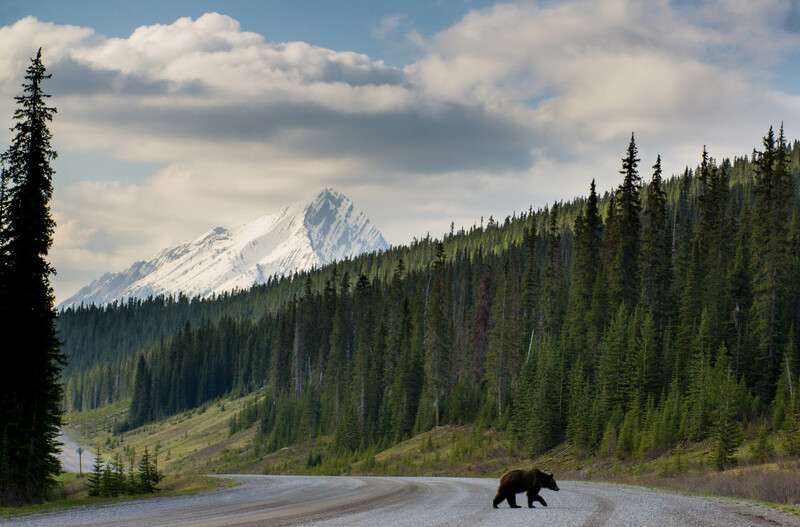 Bears have an incredible sense of smell and can be drawn to a campsite from far distances away. With the excitement of a new trip or perhaps a lack of wildlife education, we can invite bears directly into our tents and in turn get them and ourselves in danger. Don’t just secure your food at night, also be aware of your activities during the day. Do not leave food/garbage unattended at your site or around the area. Banana peels, apple cores and any other fruit or vegetable remains will not just disappear into the earth (this takes lots and lots of time to fully decompose). By throwing these leftovers on the side of the trail you are inviting wildlife to become dependent on human food waste. Pack out what you pack in! And always remember that garbage is everyone’s responsibility. Do your part if you see garbage or food waste on the trail – that will ensure animals stay wild and safe. When cleaning dishes: dispose of grey water in a pit toilet or bury well away from camping areas – always pack out the solid waste and never keep used dishes or utensils near your tent. Never approach a bear or any other wildlife. It doesn’t matter if you don’t get that perfect photo – what matters is your safety and the safety of these incredible animals. If a garbage can if full at a trailhead – put it back in your vehicle and dispose of it somewhere else. Just because it’s not up the trail doesn’t mean the animals won’t find it! When hiking, be sure to make lots of noise to let any wildlife up ahead know your presence. Clapping, singing or just talking loudly with a friend can be a good bear deterrent and avoid an unwanted encounter. 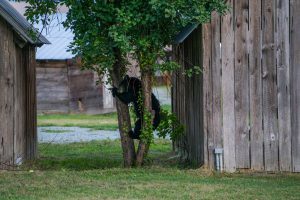 Surprising a bear can cause a lot of stress on the animal – if you find yourself in this situation, slowly back away from the bear and in a calm voice let it know who you are “hey bear, woah bear, I’m a human.” Watch your tone as the bear has already been frightened by your company. Step aside, give the bear a way out and don’t let it feel threatened by you. 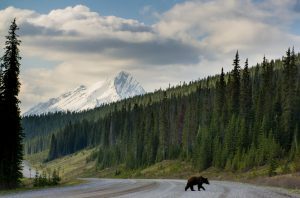 If the bear becomes aggressive (bluff charging, snorting or making gestures like it wants to defend) make yourself look large, have your bear spray ready to go and be ready to protect yourself if need be. 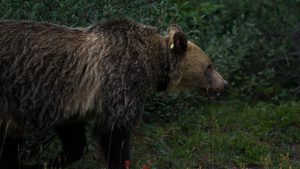 See: http://www.env.gov.bc.ca/bcparks/explore/misc/bears/bearsaf.html for ways to respond during a bear attack. If a bear becomes comfortable around humans it won’t have any problems poking its head into your tent or rumaging through your backpack. 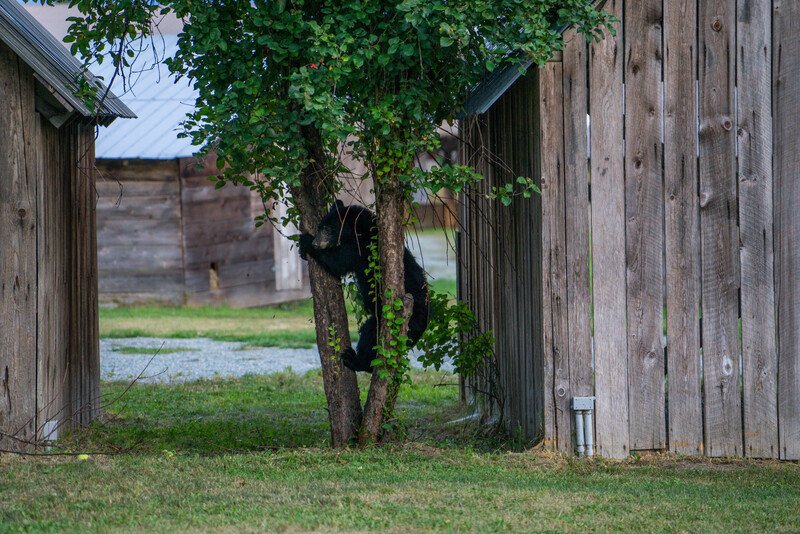 If you notice a bear exhibiting this type of behavior – leave the area. Make noise at the bear to flee it out of camp and take all your food remains/garbage with you. We all want to have safe and memorable experiences in nature. We want to have those special times to reflect back on when we are stuck indoors or working. By doing our part to ensure wildlife safety, we can keep these memories positive. We can remember the garbage free trails, spotless campsites and good times we had with friends and family. We have the power and responsibility to make changes and keep these animals safe. 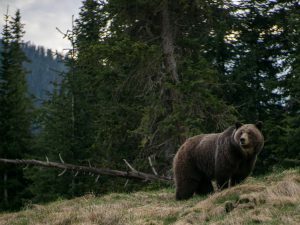 I know as a Ranger and outdoor enthusiast, the image of a bear I want to remember is one with a belly full of berries lounging alone somewhere in the woods – not an underweight creature living out its last days on soggy PopTarts and banana peels.